Sometimes I despair at how some politicians use statistics. It’s easy to get a number wrong. But by a factor of over 4 (the 1996 number)? Frankly it’s unbelievable. 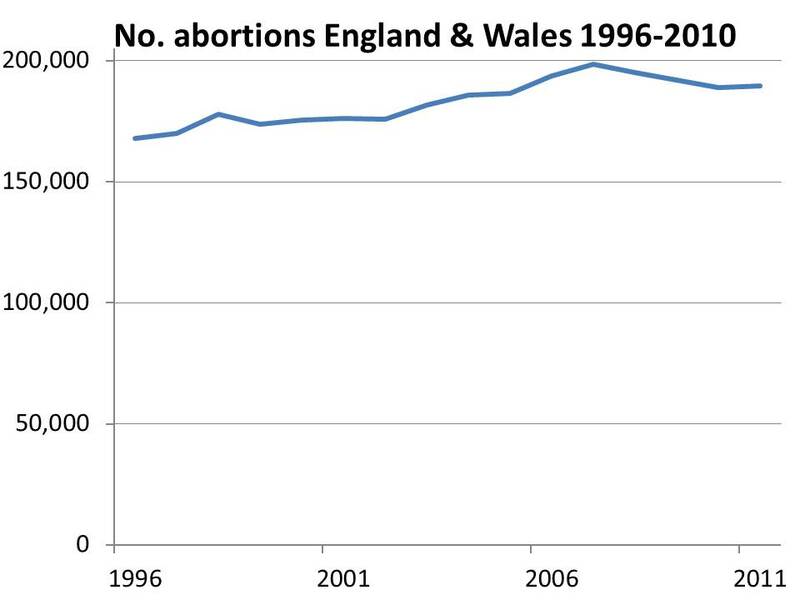 My figures come from the Department of Health’s publication Abortion Statistics, England and Wales: 2010, as up to date and accurate a set of statistics on the subject as I could find. Perhaps Ms Dorries didn’t find them. Perhaps she found them and mis-read them. Perhaps she forgot the detail in the heat of the moment. Perhaps she has an alternative and more accurate source of data the rest of the world hasn’t heard about. Perhaps, heaven forefend, she was guilty of mis-representation. Perhaps she was talking through…don’t even go there. 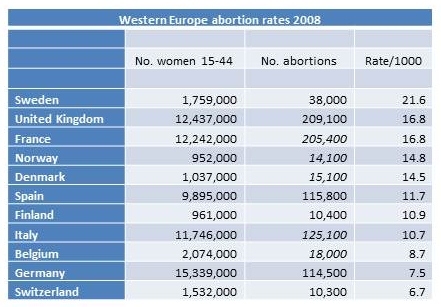 Here’s a more factual although less exciting look at the statistics. 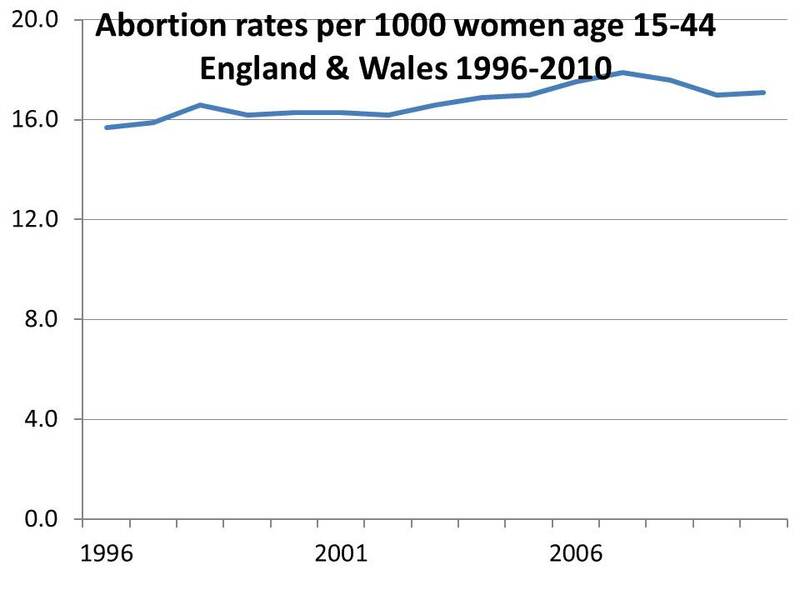 If 1.71% of women had an abortion in 2010 (17.1 in 1,000) then 98.29% didn’t. It’s not so long ago the Labour government couldn’t utter the word “policy” without preceding it with the adjective “evidence-based” and it’s still a phrase many politicians reach for to justify what they want to do anyhow. A key part of Ms Dorries’ evidence base for her belief that abortion should be more restricted would appear to be dodgy at best, completely fallacious at worst. Readers should not infer from this post that I have any particular point of view on the subject of abortion . My interest is in the use and abuse of statistics and some of you will know that one of the services HelpGov offers is helping establish the facts. Ten things that PowerPoint presenters don’t do but should. The flip side of Ten things PowerPoint presenters shouldn’t say – but do, the most read post so far on the HelpGov blog and just as important. 10,000 views – thanks folks! The Helpgov blog today passed 10,000 page views. Not bad for a start up blog mainly about public sector improvement in the UK. Thanks to all the readers who’ve dipped into the blog, to those who’ve ranked posts or shared them on various social media sites, to those who’ve commented and to those who subscribe. All options are available at all times. To mark the milestone, I’ve been tweeting some Helpgov blog 10,000 views stats on Twitter today. Here they are. 2nd most viewed – The jargon bin. Ongoing optimal linguistic pathways!